MoPlay is, as you might guess from the name, a mobile-first sports betting and gaming site. This doesn’t mean it won’t work on desktop and tablet, just that it has been engineered with mobile betting in mind, it is perfectly responsive on any device. The site runs on the SB-Tech sportsbook platform, which suits the modern and stylish aspect of this brand. SB-Tech are generally regarded as the best sports-platform available with a huge number of markets, features and tools available and the best suited to mobile betting. 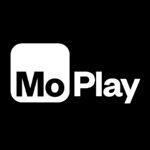 MoPlay is a brand very much for the newer generation of online bettors, combining everything a modern punter needs in a smooth and seamless interface. Everything about this company has been clearly through through and this makes for a nice experience as a punter. The brand is the first to be launched by Addison Global Limited (licensed in London, based in Gibraltar), and there is a lot of investment going into this company, which can be seen from the industry professionals they have recruited and their high start-up budget. This includes sponsorship of Manchester United and Watford FC as principle betting partner. Place a first bet of £10+ on any sports market with odds of 1/2+ and get 2 x £15 free bets when that bet settles (you must opt-in when prompted). Free bets expire after 7 days, can be used on any sports markets (pre-match & in-play). Bet & other restrictions apply. There is no such thing as a sports-only bookie anymore and therefore it will come as no surprise that MoPlay offer a full suite of games, slots, casino table games, live games and virtual sports from leading providers such as NetEnt, Play N’Go, Evolution Gaming and others. In total this results in around 300 games, producing a nice balance to suit the typical gamer without being overcrowded. 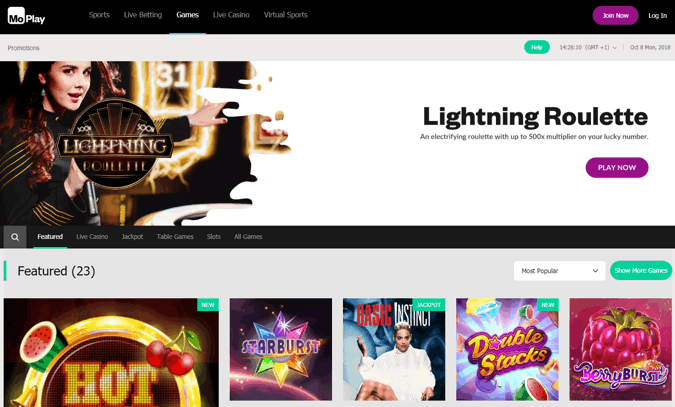 MoPlay are not really trying to be an online casino, rather they are a fully fledged online betting site with gaming as one aspect. They are aimed at the type of punter that likes to place sports bets and play games, rather than one or the other. I must say they seem to have found that balance too. On mobile especially the whole system is almost perfect. There are few brands out there that allow you to seamlessly move from sports to games on mobile (without loading separate apps or sites) in the way that MoPlay do. They really have thought about the modern bettor and how they want to wager, on the move in particular. There is a different welcome promotion available for the games section of MoPlay that you can choose to take instead of the sports offer. If you would like to see this and read more about it click the button below. Being on the SB Tech platform means the whole site is fully stocked despite the relatively short lifetime of the brand. Already MoPlay have features such as cash out available, live betting tools that many big sites don’t even have, tons of stats and around 35 different major sport markets as standard. You can clearly see that MoPlay have a bigger budget than most start-ups and that they are serious about setting up a long betting site. This is unlikely to be a brand that sets up and becomes stale in a few years, there are clearly keen investors behind this company, and that can be a good thing in an industry as competitive as online betting as it encourages constant innovation and development. One thing that is essential today is to provide good retention offers to existing customers, otherwise why would you bother to switch to a new brand? MoPlay have clearly thought this through in detail and offer a range of promotions for all types of existing customers, meaning there is something to add value to your wagers whatever way you bet. There is a free bet club (see below) available along side best odds guaranteed, top end odds boosts (they call them ‘upgrades’) and a host of event specific deals. Of course they also are top for odds and promos for Man United and Watford as they sponsor them, so any fan of those clubs should definitely grab an account. Club ProMo – Basically spend £10 on a football treble with combined odds of 1/2+, any markets pre-game or in-play on any footy, and once that bet settles get a £5 free bet irrespective of whether you win or not (expires after 3 days). This can be claimed once per customer per week and is one of the lowest stake (£10) highest reward (50% as £5 free bet) clubs around right now. 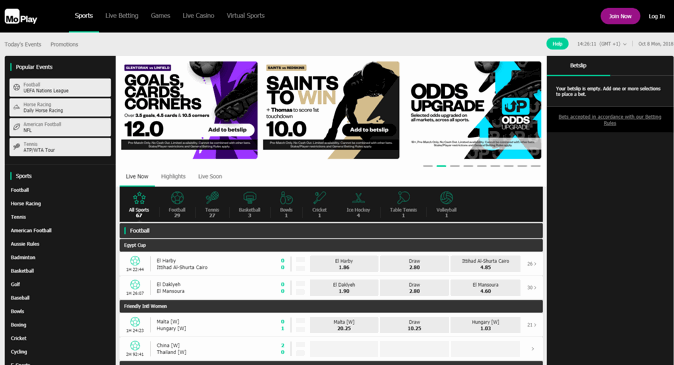 There are three major types of new betting site these days, those that are set up by real-world bookies late to the party, those set up as full white labels on a budget that all look the same and those established by investment groups serious about breaking into a market. MoPlay most certainly fall into that last category. Addison Global Limited, established 2017, own and hold the UK gambling licence for the MoPlay brand, they are based in Gibraltar and are licensed from offices in London. MoPlay is the first brand of potentially many form this company and they have clearly spent a lot of money on it. It is not easy to break into the gambling market, in the UK especially, but these guys are going to give it a damn good go. I mean you don’t sponsor Man United a year in if you are not serious about being around for a while. Cleverly they have played to their strengths by developing for mobile-first and aiming at the tech-savvy millennial generation. Most older bookies are hampered by their history and so are always reverse engineering from desktop to mobile, MoPlay had no such worries and so in tandem with leading sports developer SB-Tech instead have made something perfect for mobile and then made that work on another other sized screen device. I have seen and reviewed a huge number of new sites in the last 10 years and few have impressed initially as much as MoPlay, I expect big things from this brand. Perhaps one drawback is the brand seems very corporate, it clearly doesn’t have a romantic back story and is set up to make money and attract custom quickly. Some may not like that and prefer a more family fun business, but at the end of the day the betting industry is about money and MoPlay as a brand is serious about both betting and money. This can be good for the punter as investment can mean a good value evolving product that keeps you interested. As you would expect form a brand serious about attracting customers they have good banking options (cards and eWallets), low deposit and withdrawal minimums of £10 and low minimum bets of just £0.10. The maximum payout is also exceptionally high for a new site at £1,000,000 for tier 1 football, £500,000 for racing, £250,000 for tennis, etc., this beats many of the biggest bookies going for decades, the limit is also daily not weekly or monthly. Likewise support is far better than you would get with a typically new brand, they have live chat and email along with phone and post options available between 7am and midnight every day. There is also a very active and useful twitter (#MoveOnUp) and social media presence, again rare with newer sites, that is useful for quick answers and resolutions.